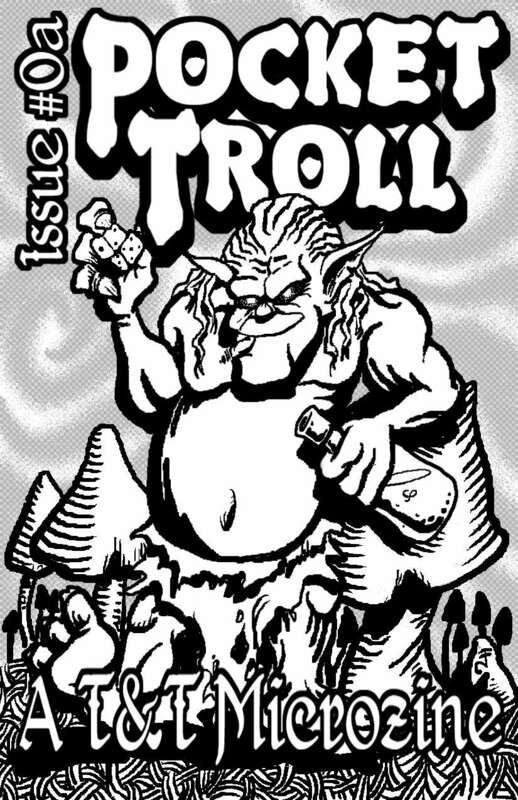 The first issue of an all-new Tunnels & Trolls zine has been released by Troll Hammer Press! Pocket Troll is a small package that packs a big thump, with articles by Ken St.Andre, Michael Eidson, Tom Loney, 'Mad' Roy Crom and more. The premier issue contains articles, a one-room GM adventure and a full 30-para solo adventure by the venerable Dan Hembree, one of my personal favourite T&T writers. Oh, and don't forget the awesome cover art by the immortal Jeff Freels. At $2, this is a steal. Go download it now from RPGNow, kapeesh?